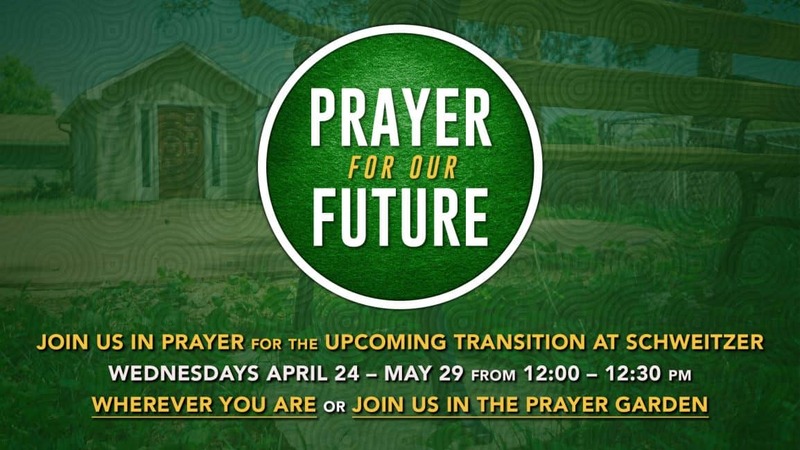 Linda Harper will be leading us in a time of prayer for the upcoming transition at Schweitzer at noon on Wednesdays April 24 – May 29. We will pray specifically for Pastor Spencer and family, Pastor Bob and Susan, First United Methodist Church in Kearney, and Schweitzer Church. We invite you to join us for in the Garden Chapel, or if you can’t make it, we encourage you to pray with us at that time. All participants are encouraged to bring a lawn chair.